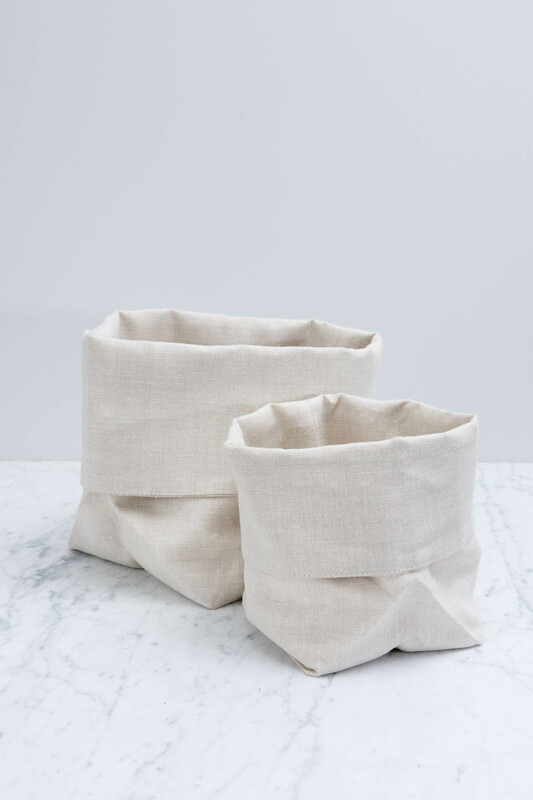 Available in two sizes, these linen baskets are wonderfully practical, especially for sliced bread. They have a square base and a round opening. They are fully lined in the same cloth as the outer which gives them great shape and body. The small one stands up on its own and the larger one has more ‘slouch’. Both bags will soften with laundering. The small size measures 15 cm wide (when open and standing) and 21 cm tall. The large picture on the left shows a small bread basket. The large size measures 20 cm wide (when open and standing) and 29 cm tall. The price displayed below is for one bread basket. 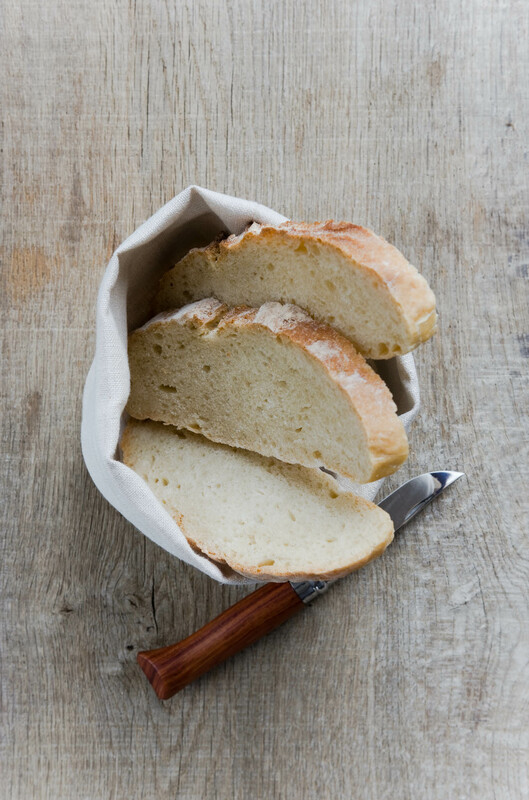 This bread basket is made with 100% European linen. 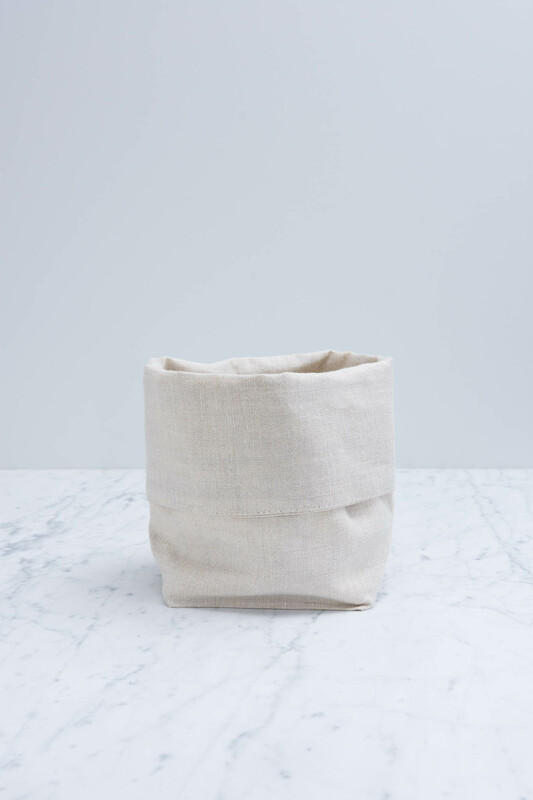 It carries the Masters of Linen® mark, a sign of excellence for linen made entirely in Europe, from field to yarn to fabric. 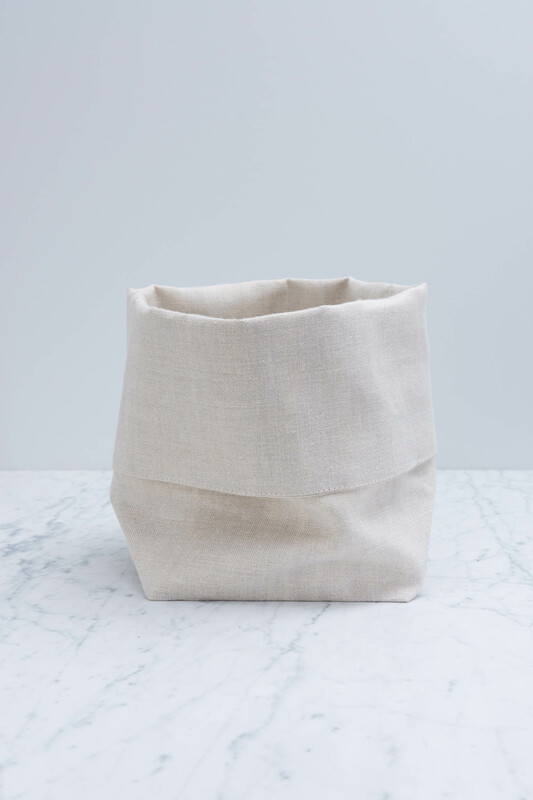 The Belgian Linen™ Certificate of Origin guarantees the fabric really has been woven in Belgium and has passed severe quality tests.